I came across an adorable nail polish company at Natural Products Expo this year called Piggy Paint. 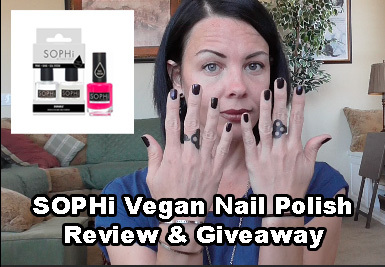 They started as a non-toxic nail polish for kids, but this year at Expo they debuted their brand new adult line called SOPHi and were kind enough to let me try it out along with their PRIME + SHINE + SEAL System! Now one lucky reader can try it out too!